What does National Wine Day mean? 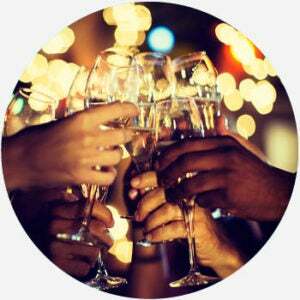 National Wine Day is a holiday dedicated to enjoying wine. It is typically celebrated on May 25th, regardless of the day of the week on which it falls. 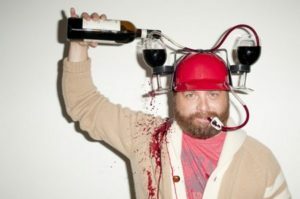 Is it weird that I have that, "Little kid on Christmas Eve" feeling for National Wine Day on Friday? 🙄🤩🍷🍷🍷 #NoShame! Where does National Wine Day come from? National Wine Day is an unofficial holiday, meaning it is not recognized by the federal government. 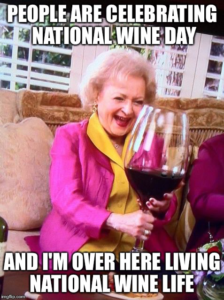 For those of you who are … clueless … wine refers to the fermented juice of grapes, and that’s what celebrators of National Wine Day drink to embrace this very real holiday. Its origins are unknown; however, it has become a popular holiday to celebrate on social media using the hashtag “#NationalWineDay.” Because a holiday is definitely the only reason we drink wine. It can be confused with National Drink Wine Day, which is celebrated on February 18th. There’s a very big difference between the two, can’t you tell? Who uses National Wine Day?